Taiji, Japan, 11-12-18: Three days ago their ordeal began as a large pod of bottlenose dolphins was driven into the Cove. Day 1 – After the hunters had netted these dolphins in and secured them for the evening, setting up floodlights to shine on the unfortunate mammals throughout the night, they left and went home to their families. The dolphins were left with no food (or water since they get their water from the food they eat.) And they were left terrified. As I surveyed the scene from Takababe hill, packing my cameras into my backpack and getting ready to hike down to the Cove to observe and document the dolphins, I noticed a lifeless dolphin body floating on its back, against the nets – its death, the result of the brutality of the drives themselves. Once at the Cove, I could see the dolphins circling tightly around one another. A mother and calf were swimming together, the calf glued to its mother’s side. Bottlenose dolphin calves spend three to five years with their mothers, learning how to hunt, play, socialize, basically, how to be a dolphin. 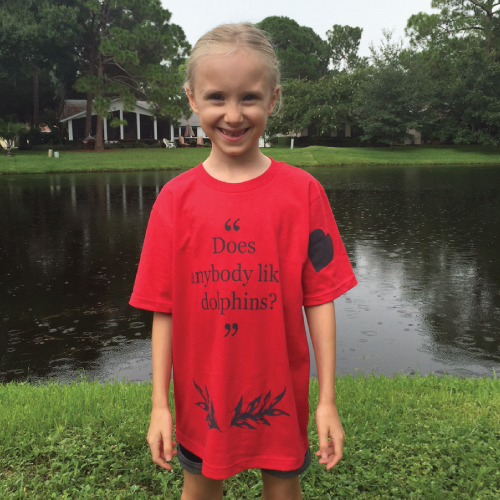 Dolphins pass their culture from generation to generation just as humans do. Different populations have different cultures. Unfortunately, this calf was not going to have to opportunity to learn its pod’s culture from its mother. As I stayed for hours with the dolphins, a skiff finally approached to remove the dead dolphin. In a heartbreaking moment, as the hunters dragged the body past the family members, a young dolphin spyhopped, seeming to bid a final farewell to its pod mate. This was just the beginning of their ordeal. Day 2 – The next morning, I arrived in darkness and climbed up Takababe hill to prepare for the captive selection process that would begin shortly after sunrise. Soon, the familiar roar of the skiff engines could be heard as the dolphin hunters and trainers arrived to the Cove. The pod was split into four smaller groups, then utter chaos began. 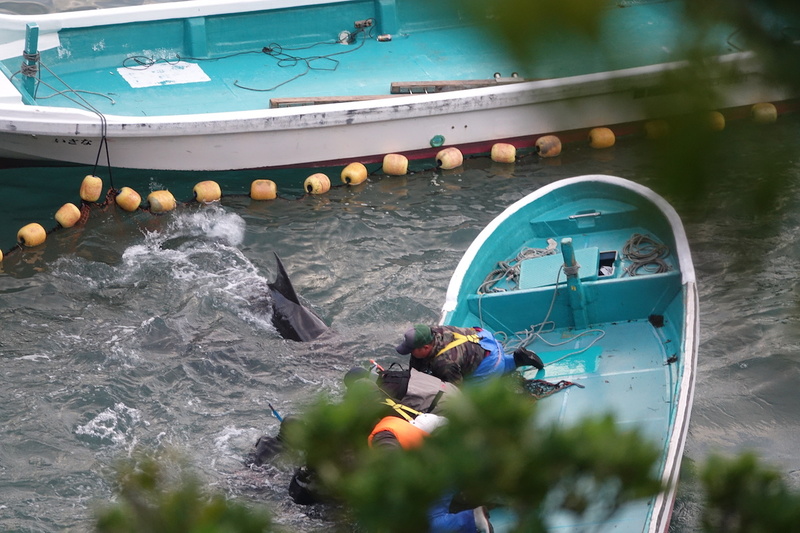 Skiffs turned their engines to face the dolphins and frightened them with the noise and propwash, forcing them closer and closer to the tarps where trainers were eagerly waiting to inspect them. The hunters are well aware of our presence and of the limiting viewing area. They took great care to try to keep all the activity underneath tree branches and out of our sight. Although the view was limited, I could see the panicked dolphins through the branches. Divers would pounce on a dolphin, holding on to the dorsal fin as other divers would jump on it to try to restrain the struggling dolphin. It looked eerily similar to the dorsal fin tows people pay to experience in captive facilities. The captive industry is responsible for this brutality. 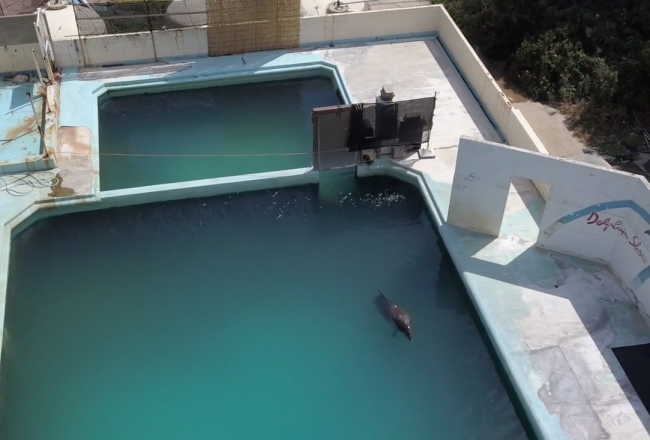 The only reason these captures continue is the money that is made from the exploitation of captive dolphins. This grueling process went on for five hours – divers jumping on and wrestling dolphins over to skiffs with hunters waiting to drop a net and wrap the dolphin up to be delivered to the eager, waiting dolphin trainers. Each and every dolphin would be inspected by the dolphin trainers. The dolphins were in a state of sheer panic as they were confined in a very small area during this process. Chased, harassed and manhandled, each dolphin struggled mightily to hold on to freedom, but the divers were too much for them to overcome. At one point, a male voice could be heard speaking what sounded like a chant with female voices chiming in as well. This was later translated to be chant of encouragement to those who are about to lift or pull something heavy. Laughter could also be heard coming from under the tarps. I will never understand how these people can be so detached from the horrors and destruction they are inflicting upon these intelligent, sentient beings. Those not selected by the trainers were marked with a white substance on their backs, so that divers wouldn’t waste their time wrestling an already rejected dolphin again. 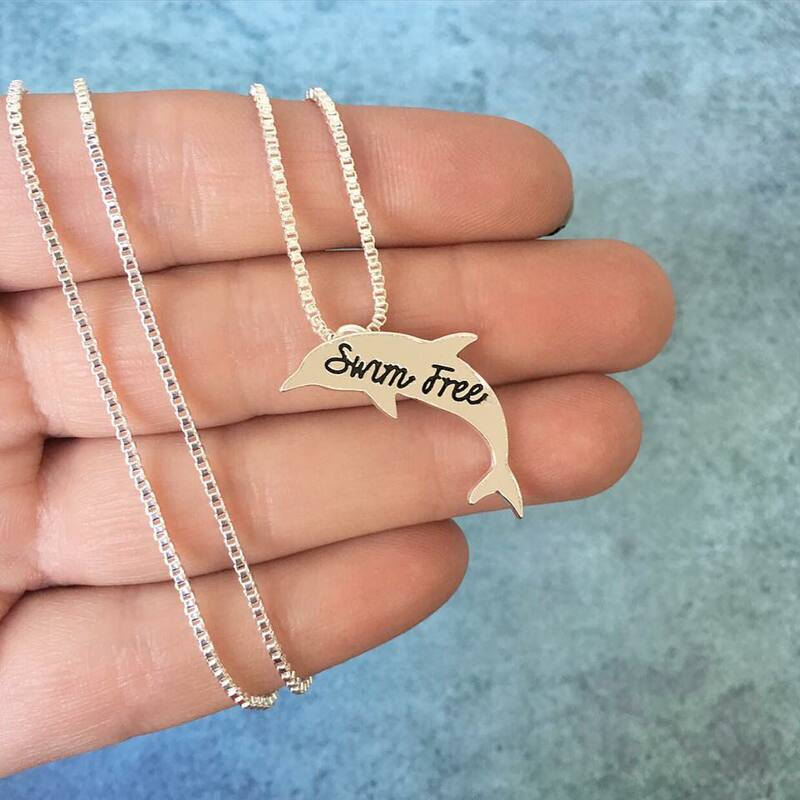 When the process was complete, the unfortunate dolphins that were selected for captivity were taken out of the Cove in slings attached to the sides of skiffs. Each dolphin was attended to by a trainer who placed a wet towel over their backs and ladled water over the dolphin as it was carried away from the ocean, from its family, never to see either one again. 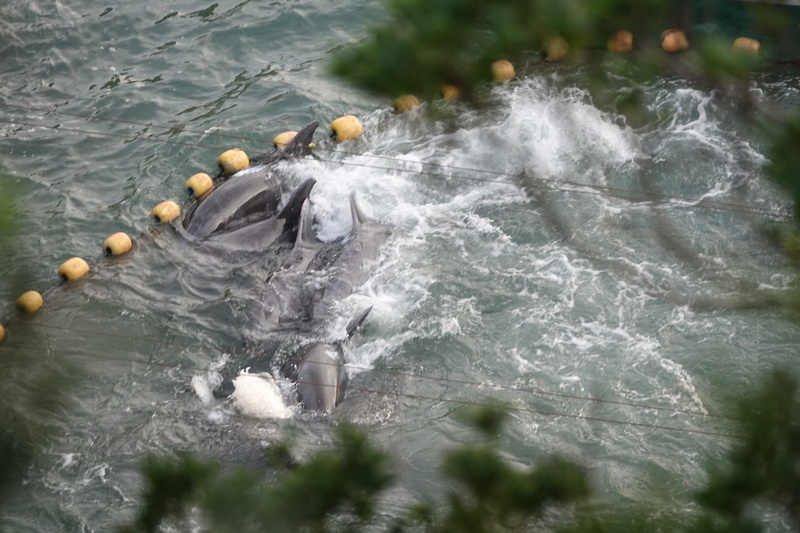 Those with the mark of rejection were then forced into the inner Cove and separated from the rest of the pod by a net. Group after group of dolphins endured the process. Finally, the hunters, divers and trainers left the Cove, leaving behind the rejected dolphins and another group of dolphins who had yet to endure the selection process. The dolphins would spend yet another night in the Cove. Day 3 – The next morning, the climb up Takababe hill was again made in the darkness as the process would repeat itself. As the skiffs with divers and trainers made their way toward the Cove, 10 banger boats could be seen heading out to hunt for more dolphins. 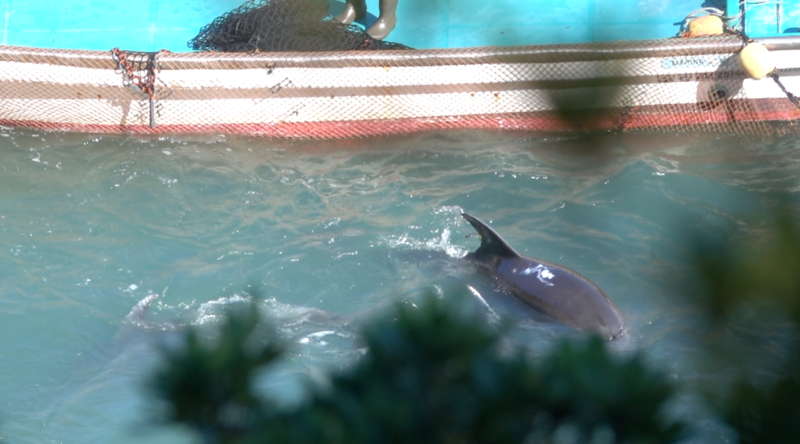 In a repeat of the day before, the remaining dolphins were separated into three smaller groups and the violent, brutal process began once more. Scenes of panic and brutality played out yet again as the dolphins were forced under the tarps and inspected. The trainers prefer young, female dolphins with little to no scarring. Males are taken as well but due to their ability to reproduce and their less aggressive nature, females are preferred. The mother and calf pair were intentionally separated. 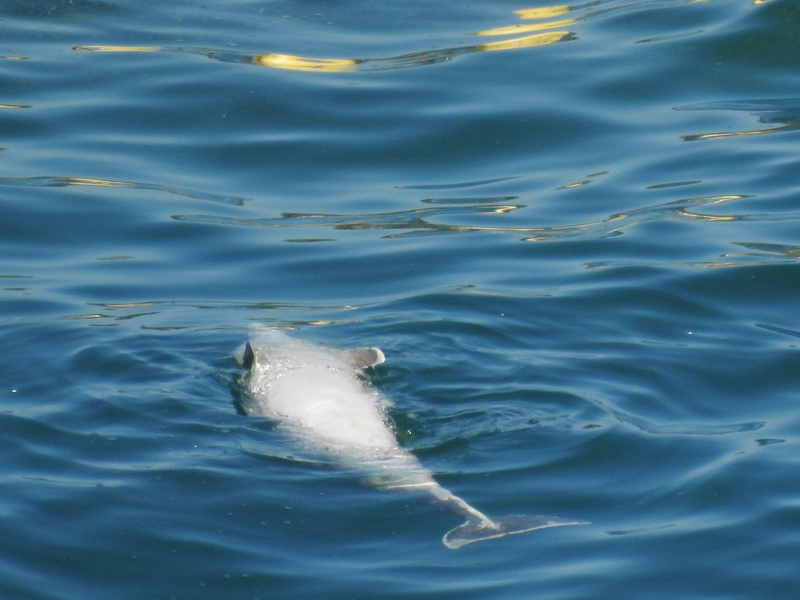 The calf was later spotted in the rejected dolphin area, swimming alone, without its mother. We can only assume the mother was taken away for captivity, leaving her orphaned calf behind. Yet another reminder of the cruelty of this industry. After three long hours, each and every dolphin had been inspected. An additional 14 dolphins were taken away, their freedom lost forever. 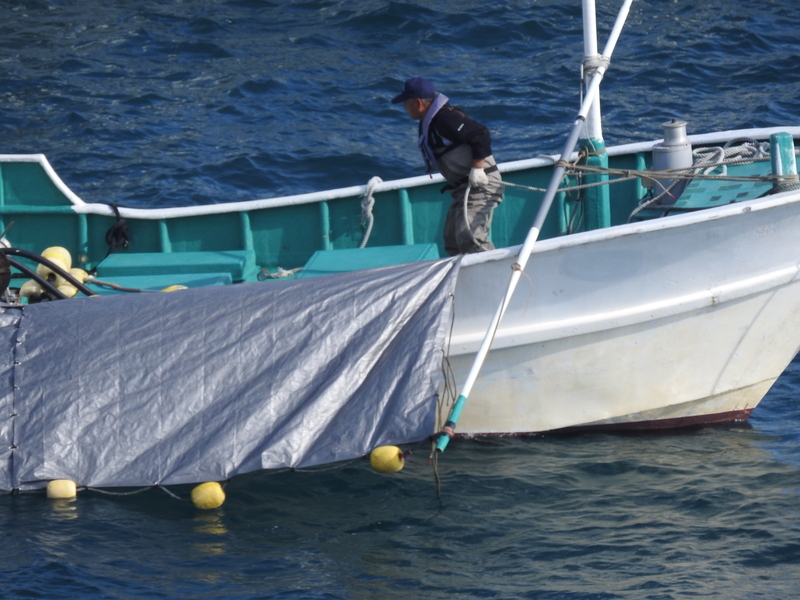 The skiffs removed the nets separating the two groups of rejected dolphins and left. The remaining pod members made their way towards the outer nets. In a heartbreaking scene, a single young dolphin was continuously swimming towards the tarps where its family members were last seen, perhaps searching for its mother. The dolphins were quite active, a number of times jumping completely out of the water. It was quiet in the Cove, but not for long. A banger boat was seen just outside the entrance and I began to get hopeful that the remaining pod members would soon be released. As I was at the point, looking for other banger boats to come help drive the remaining dolphins out, I saw the banger boat prepare to hang a tarp at its side – the tarp that is used to cover (dead) dolphin bodies. Three banger boats were racing in from the open ocean indicating they had been hunting but were unsuccessful. Once I saw the tarp come out, I knew there had to be dead dolphins. I headed back to the Cove just in time to see a skiff come out from under the tarps with its own silver tarp used to cover dead bodies. I caught a glimpse of some flukes and bodies tied to the front of the skiff before the hunters quickly covered up the bodies with the tarp. The skiff then delivered the bodies to waiting banger boat and the lifeless bodies were delivered to the butcher house. 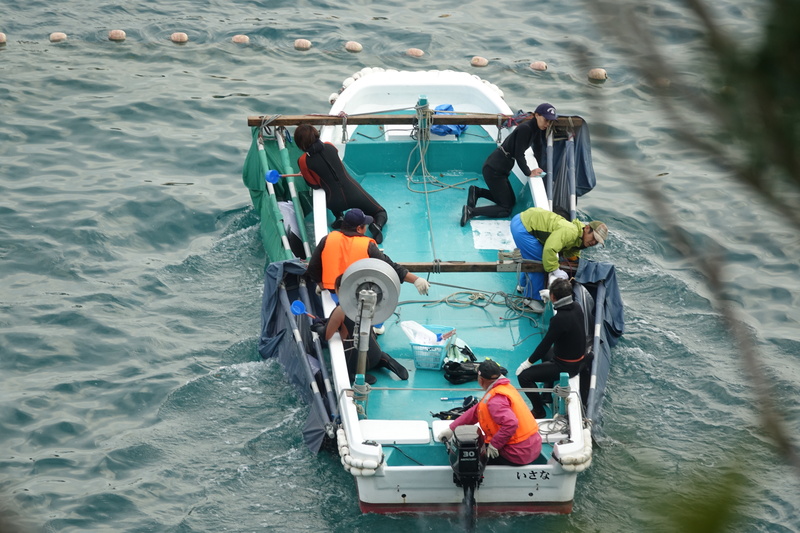 Another skiff began to push what was now a small amount of dolphins out of the Cove. This once thriving, large pod of dolphins had been completely decimated. 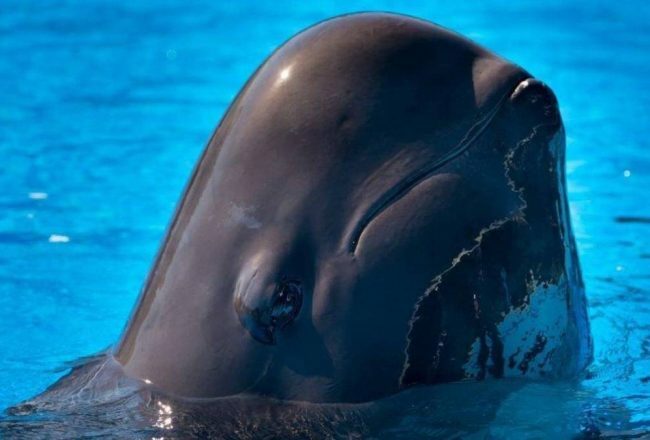 Forty-eight dolphins were ripped away from their pods and taken for captivity, and seven dolphins were dead. It seemed all that was left of this pod were the very old and the very young. 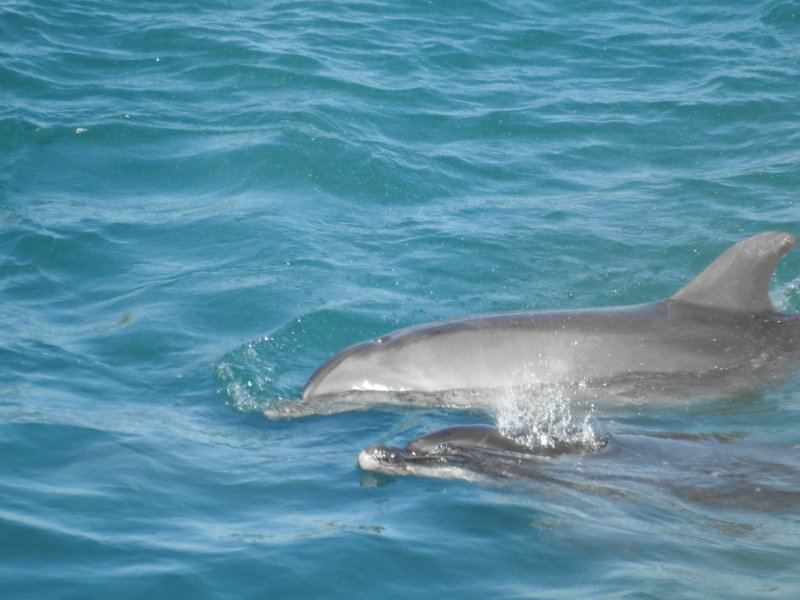 The remaining dolphins were seen with yellow tags at the base of their dorsal fins. The tags, placed on them by the dolphin hunters, are part of a university study being conducted. These dolphins were being forced out of the Cove and toward the open ocean. They could be seen porpoising as they were swimming away, however, in an all too familiar scene, the dolphins circled back around and headed towards the Cove. Dolphins have very strong social bonds and are reluctant to leave the area where they last saw their lost family members. The banger boats raced out to intercept them and force them out to the open ocean yet again. Finally the splashes disappeared on the horizon. This fragmented pod headed back out to sea, 55 family members less. I can only hope that they find the strength to carry on, that they are able to survive this ordeal. If they don’t, none of us will ever know, for they will not be accounted for. Finally, I headed down to the harbor to make sure all the banger boats had returned. As I drove by the butcher house, all the tarps were drawn – yet another reminder of the violence inflicted upon these dolphins. With all the banger boats docked and the hunters beginning to go home, the ordeal of the bottlenose dolphins had finally ended. 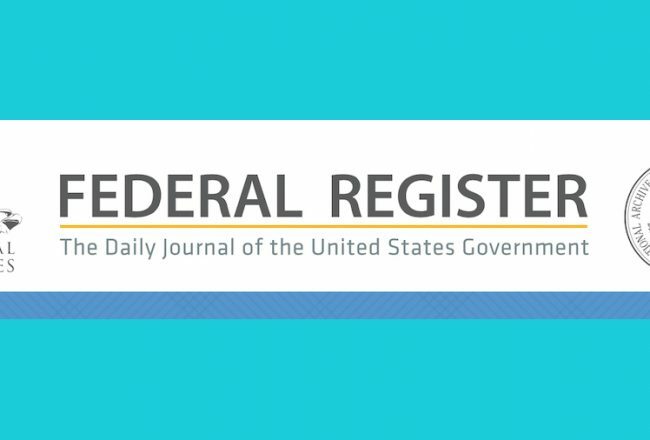 However, for the 48 dolphins taken into captivity, their ordeal was just beginning. Their spirits will be broken. They will be forced to accept dead fish for food, rewarded when they perform the desired behaviors that the trainers will ask of them. Their intelligence will be used to enforce such behaviors. Once they have been sufficiently trained, they will be sold and transferred to some tank, or over the course of their lives, transferred to multiple locations, where they will spend the rest of their lives “entertaining” humans. As long as people find dolphin shows entertaining and pay to “swim” with captive dolphins, these hunts and brutal captures will continue. End the demand, end the supply. Please don’t support any facility that holds dolphins in captivity. Click the Take Action link below for ways you can help.